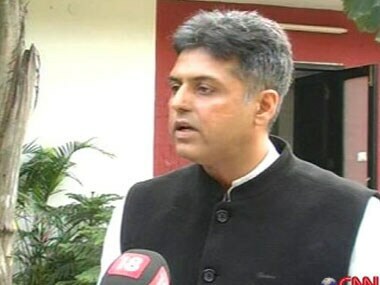 New Delhi: To give a fresh impetus to the Community Radio movement in the country, the government is planning to allocate Rs 100 crore in the 12th Five Year Plan, I&B minister Manish Tewari said today. 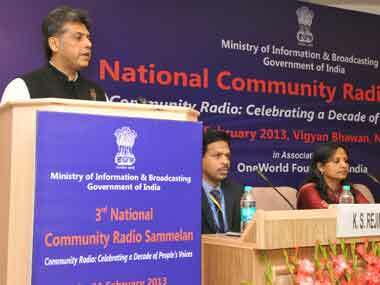 It was also proposed to set up 500 new Community Radio Stations (CRS) during the Plan period, Tewari said while speaking at the 3rd National Community Radio Sammelan in New Delhi. The ministry had identified key benchmarks for the Plan period whereby a road map would be prepared to provide assistance for operating Community Radio Stations, he said. Elaborating on the proposal of the Plan fund, the minister said Rs 90 crore had been proposed for providing financial support, while Rs 10 crore was proposed for training, capacity building and awareness activities of CRS. Provisions had also been made for giving grants in this sector for research and innovations, he said. 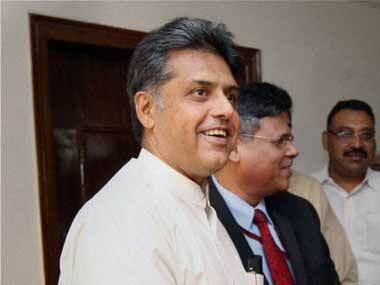 Tewari said the ministry has also made a provision for Emergency Grant for CRS. He said in order to encourage working of such stations, several key proposals and initiatives were being looked into that included Peer Review of Community Radio Stations, capacity building of community radio operators and Code of Ethics for self-regulation of content by CRS. 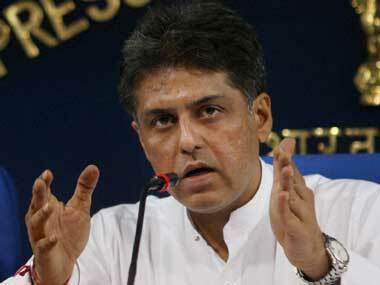 Tewari said efforts were being made by the ministry in coordinating relevant issues with Ministry of Communications and IT with regard to better frequency allocation plan for the CRSs. He said it was likely that the Department of Telecom would announce decision on spectrum fee waiver shortly. Tewari said the ministry had taken the initiative to promote the streamlining and simplification of Community Radio empanelment through DAVP thereby ensuring that empanelled stations got a fair share of government advertisements. The Minister also conferred various awards on Community Radio Stations in different parts of the country. The first prize in Most Creative Programme Content Award was given to Radio Mewat while second prize went to Radio Benziger, Kollam, Kerala and third prize was bagged by SSM Community Radio, Namakkal, Tamil Nadu. The Sustainability Model Award was provided to Radio Mattoli, Wayanad, Kerala. Later, in an open house session, Community Radio representatives put forth their suggestions and problems before the officials. Apart from other issues, some radio stations complained that transmitted signals got jumbled in frequency allocated to them.